I really need some advice on the borders for this quilt. It is made from batik 2 1/2" strips in chocolate and teal with a cream background. 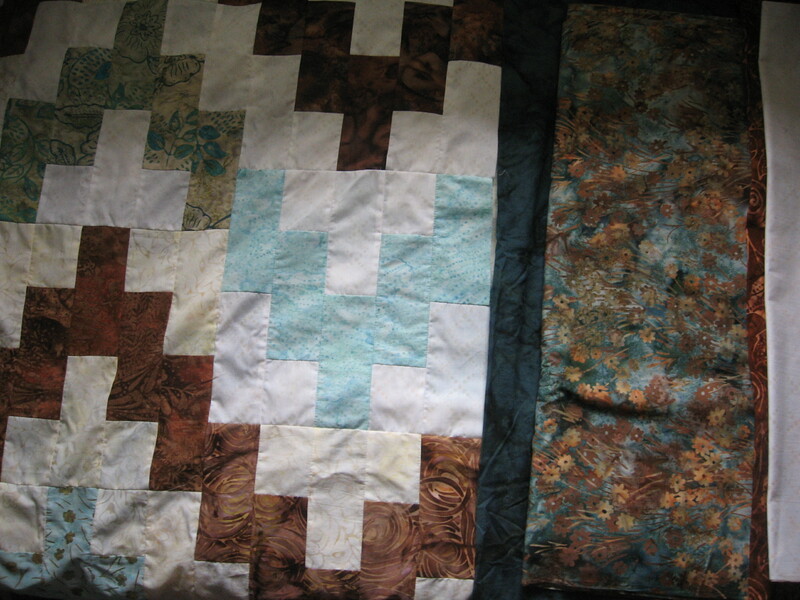 Which looks better for a 2" border next to the quilt, the teal or brown. The border fabric combines both of these colours. I have enough of each to do either the inner border or the binding. Thanks for your advice. I like number one. Very pretty fabrics. The first one is warmer, the second one cooler. It all depends on which direction you want to go. I like #2. I choice would be #2 and that is odd because I very seldom pick shades of blue over anything. number one is better to my eye. 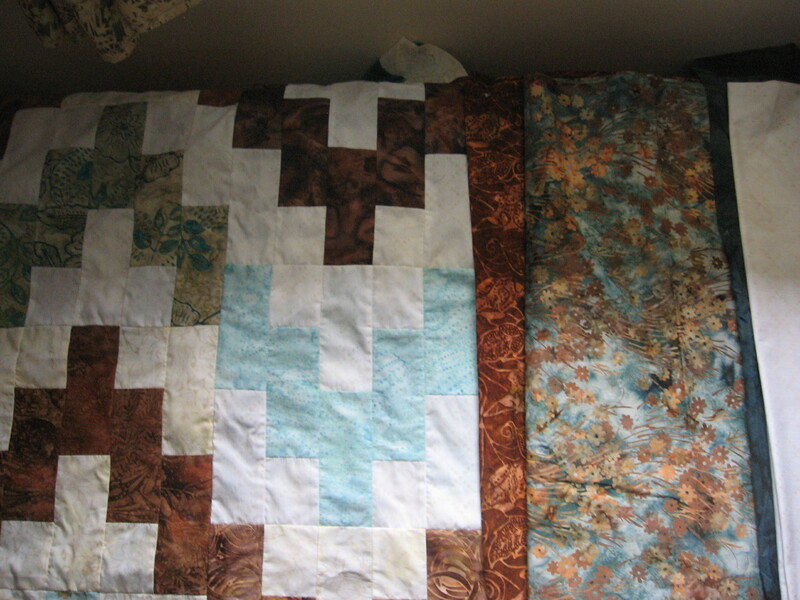 I like the dark blue (#2) because the brown in the quilt is dominant and the blue brings out the other blues more. #2. #1 is too close to the color of some of the fabrics in the quilt and they colors bleed together, IMO. I like #2 better with the pretty floral batik in the wide border, too. Well ill have to be different, I like the blue. I think it flows nicely. either way works, but I think I like #2 a smidge better. Another vote for number 1. ​I vote for # 2. It lets the pattern of the quilt show more. When I look at the first one, all I notice is the brown. The first one for me too. The blue in the second one is so dark it "stops" the quilt before your eye travels to the border. Which color do you want to emphasize? If you use the brown it dominates heavily. If you use the teal, you see both better. I also vote nr. 2. I vote for #1 also. The first choice would be my pick. Has more life in it. Very nice quilt. EDIT: I think I am going to change my mind on this one. After looking at them again and again, I think I do like the second one better. Last edited by ube quilting; 07-13-2013 at 01:09 PM. I think I like the brown, it sets the quilt off.